HockomockSports.com has published their "Girls Lacrosse: Ten Players to Watch for 2019" which features three players from FHS. 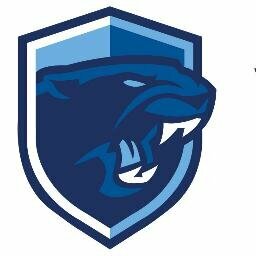 "Franklin junior goalie Gianna Cameron has been a standout for each of her two seasons in net for the Panthers, earning HockomockSports.com First Team honors both years. Cameron, a University of Oregon-commit, has been a rock for the league’s top defensive unit, showing off quick hands and the ability to read the intentions of opposing attackers. She led the league in goals against average with just a little more than six per game. The Panthers only allowed 127 goals last spring, which was almost 30 goals fewer than the second-best defense in the Hock, on their way to another perfect league campaign, another Kelley-Rex division title, and another trip to the D1 East semifinal. Cameron has that knack for making the big saves in big moments and will be a key figure if Franklin wants to regain its sectional title." "Franklin has dominated the Hockomock League for the past seven years, having not lost in 71 straight league games dating back to 2012, and the Walsh sisters have been a primary reason why the Panthers have continued that run in the past few seasons. Annie, a senior midfielder, and Erin, a junior, are both Boston College commits and have both been named HockomockSports.com Underclassman of the Year (Annie in 2017 and Erin last year). Annie has been the quarterback of the Panthers’ offense, setting things up, and getting the Panthers into the right spots. She scored 56 goals and had 15 assists last year and is an all-around threat with her ability on the defensive side of the ball and on draws. Erin is one of the league’s most creative finishers, pulling off highlight-reel shots even in the biggest moments. She was sixth in the league in scoring during the regular season with 77 points in 2018, scoring 53 goals and dishing out 24 assists. Playing against one of the state’s most difficult schedules, the Walsh sisters have continued to put up big statistics and will be key to Franklin’s run at another D1 East title this spring."